Compatible With Music, Movies, TV, Etc. Jawbone is a company that has been in the audio business for more than a decade. It is a privately owned company based in San Francisco, California. They have received many awards and accolades including the 2010 IDSA Design of the Decade. In addition to Bluetooth speakers, they offer fitness tracker bracelets, headsets, and variety of accessories for each. 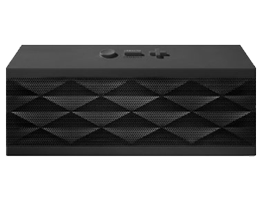 And at only $99.99, Jawbone Jambox is a great value. 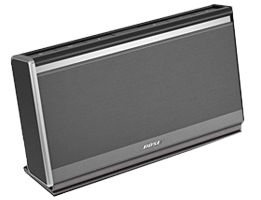 Bose is an industry leader when it comes to producing quality sound. They have been in the audio business since the 1950’s when Dr. Amar G. Bose, a grad student at MIT, couldn’t find a system that delivered quality audio that sounded like live music. 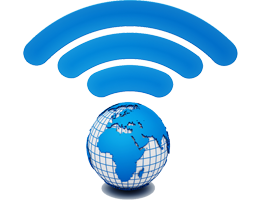 Since then, the company has developed a wide range of audio equipment including speakers, headphones, Wi-Fi systems, automotive stereo systems and more. 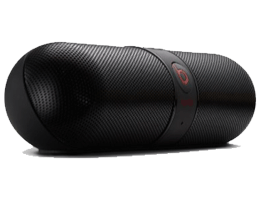 Beats By Dre Pill is a small, pill shaped Bluetooth speaker. It measures at just 7.7 inches long, and 1.8 inches across and weighs a mere 10.9 ounces. It is designed for portability, to work with any Bluetooth compatible device, such as your iPod, iPhone, Android phone, or tablet. If you have a device that is not Bluetooth compatible, it comes with the connecting wire you need to connect any other device with a 3.5mm audio jack. 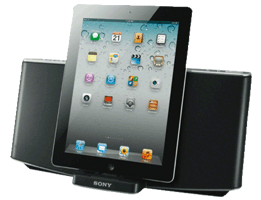 The Sony Speaker Dock is intended to work with your smartphone. Sony is one of the oldest electronics companies out there, and they produce much more than speaker docks. You can either dock your phone into the speaker system or utilize its built-in Bluetooth technology to enjoy music wirelessly. With more than six decades of experience and expertise under their belt, Sony's products are sure to please anyone. 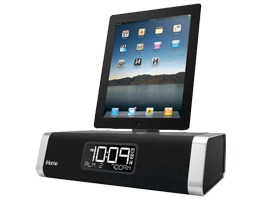 iHome is a division of SDI Technologies, Inc. The company was founded in 2005, to market iPod products. In just a year on the market, they became the number one brand of iPod electronics, and the number one iPod Speaker System in North America. Now, the company has a full line of products including clock radios, portable speakers, home audio systems, and a licensed line of iPhone/iPad/Mac accessories. Today, the majority of new computer systems come equipped with some sort of speaker. However, most of the time, these are not quality speakers. Bluetooth speakers come in to fill the gap to provide top-quality sound, along with the convenience of portability. 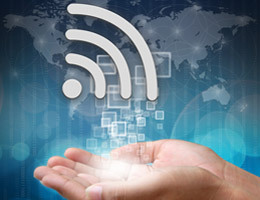 The Bluetooth technology allows you to use the speakers with either your computer, or your cell phone, so you can use them any place, any time. But, how do you know which ones are right for you? There are multiple versions of Bluetooth technology, and not all speakers on the market today will support all of them. 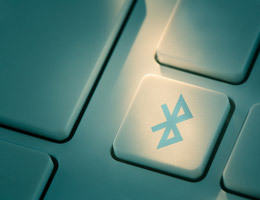 If you have an older piece of equipment, it may not be able to support the newest Bluetooth specifications, so it is important to know what you’ve got. There are speakers available for all Bluetooth specifications, though 4.0 is the newest and best version available. 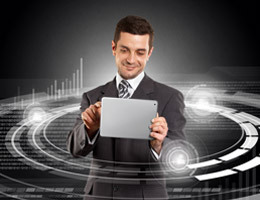 If your equipment is relatively new, then the 4.0 specification won’t be an issue. How far do you want the music to be able to travel? While you can move the speakers around to your will, if you will be using them with your desktop in one room and want to be able to hear the music in another room in the house, this is an important factor to consider. If you will be using them with your laptop or cell phone, you’ll want to consider distance from the charger and your location so you can use them when the batteries charge on either the laptop, cell phone, or speaker itself. The standard distance is 10 meters, or about 33 feet. If you need more space than this, look for models that offer a better transmission distance. The battery will determine the length of play time you will get between charges, and how long the speakers will last in general. The best bet is to opt for a lithium polymer battery. While others on the market will work, these are higher quality, so you will get a better quality product if you choose this type of battery. Though it is likely the lowest priority on your list, it is worth thinking about the appearance, and particularly the weight of your Bluetooth speakers. Think about what you want to use them for, and how often you will be using them. For instance, if you camp regularly, you’ll want something that’s small, but can easily be seen on the campsite. You’ll also want to choose something that doesn’t have as much sound carrying distance, so you don’t disturb other nearby campers. Take your time to research your options, and then once you’ve found the model that you think will work best for you, comparison shop. You never know what kind of good deal you may be able to find. Whatever bluetooth speakers you end up with, however, will provide hours of quality listening time.